Tinker Taylor, a lovely thatched Cottage just 10 metres from the beach in Sennen Cove, Land’s End. Comfortably sleeping 9+1, with breathtaking sea views, rear enclosed garden, large conservatory and private parking. 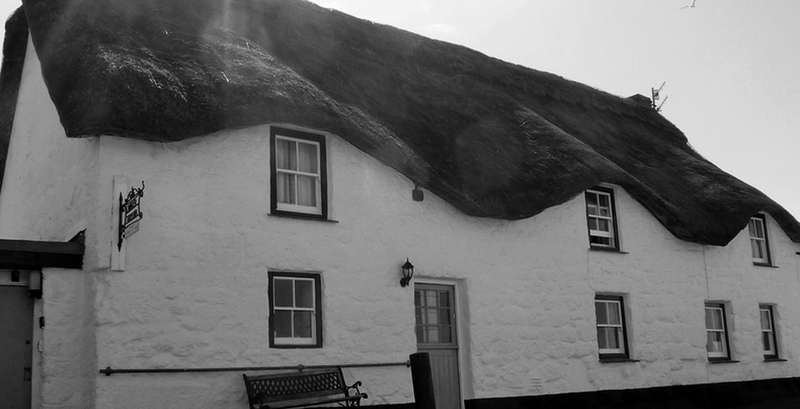 Tinker Taylor is a listed traditional thatched Cornish Cottage situated in an area of outstanding beauty in one of the last few unspoilt coves in Cornwall. It is also a popular surfing area with quite tranquil coastal walks within the National Trust (Land’s End 1 mile). The heritage coastline makes this an unbeatable venue for many activities including walking, sea sports, golf and bird watching; or just relaxing if you prefer. There are many glorious sandy beaches and rocky coves with crystal clear water; rugged cliffs; heather moorlands; wooded valleys and green fields. Within a 10-mile radius are many picturesque coves and fishing villages such as Cape Cornwall, Penzance town is nearby where you can board boat or helicopter to the beautiful Isles of Scilly or travel there from nearby Land’s End airfield or on the local Skybus aircraft.